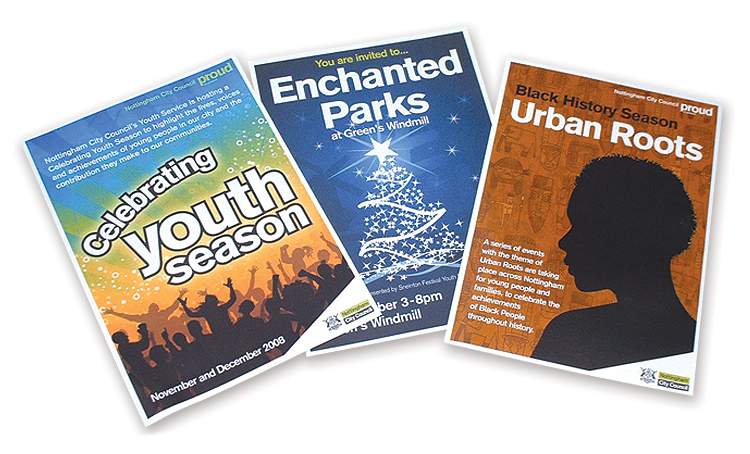 Here are a few examples of some of the many leaflets and brochures we designed for Nottingham City Council. For over a decade (whilst we were located in Nottingham) Andrew Burdett Design were an ‘approved supplier’ of design and print to the Council. 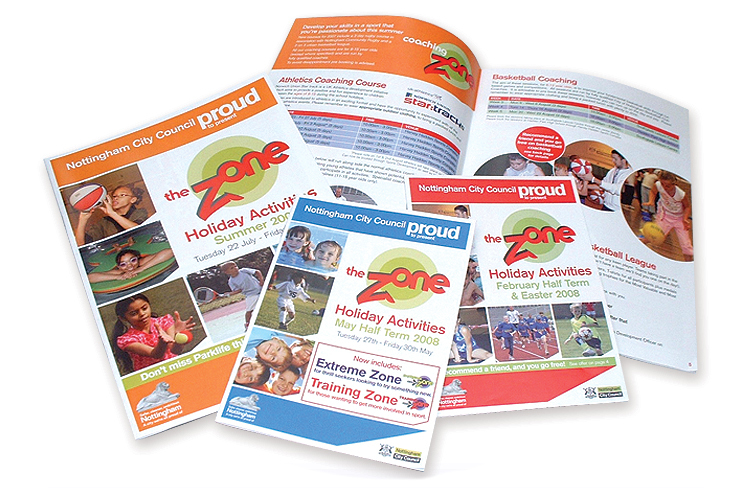 We worked on hundreds of design projects for them from simple adverts though to huge displays and large brochures, all complying with their strict brand guidelines. 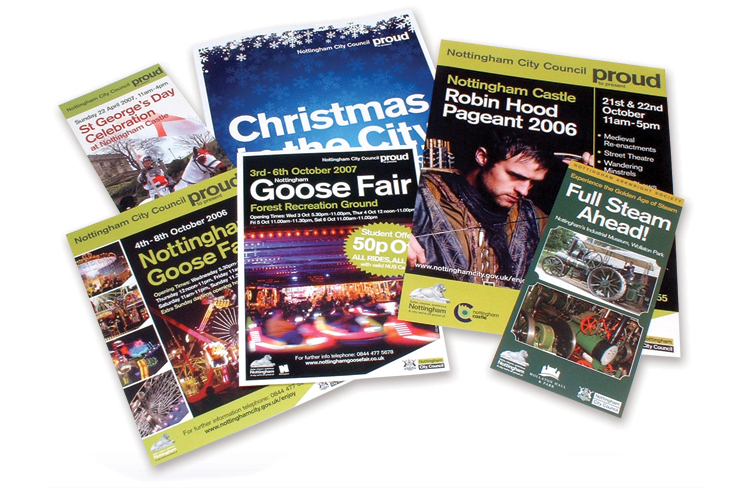 Much of our the design work we did for Nottingham City Council was for Childrens Services, Events (eg the Goose Fair, concerts, exhibitions and galleries etc), Newstead Abbey, Nottingham Castle, Wollaton Hall, Nottingham Youth Theatre, Music School and it’s many leisure centres.